Since 2015, with the election of a new government, Argentina has seen a radical change of policies, from a development model based on strengthening local markets, trade protectionism, expansion of social rights and an active role of the State in redistributing the income from agricultural exports, to a model inspired by neoliberalism, free trade, competitiveness in global markets and tax exemptions. According to the Argentinian Social Watch report, “this has led to a substantial redefinition of the role of the private sector in development policies”, of which the privatization of State-owned land is a striking example. 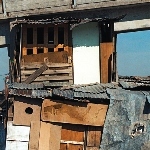 Since 2015, the government has authorized the sale to private investors of 93 State-owned extensions, half of them in the city of Buenos Aires, where one-tenth of the population lives in overcrowded conditions and some 200,000 people live in slums. Publicly-owned properties that could have been used to address unsatisfied habitational demand passed to private hands, encouraging the speculation that feeds the habitational deficit, in direct contradiction with SDG 11 that call on governments to “Make cities inclusive, safe, resilient and sustainable”. Moreover, a new law on PPP contracts sanctioned in November 2016, tries to encourage private agents to invest in public infrastructure by offering a variety of benefits. Investors are granted the right to sue the State at the International Centre for Settlement of Investment Disputes (hosted by the World Bank in Washington) instead of using local courts, and in order to reduce investor risks, the State agreed to guarantee profits for several decades. Finally the State covers any contingency, completely exonerating corporate investors from responsibility in case of eventual environmental damages. On top of this, in order to promote private investment in the production of natural gas through fracking, the government signed an agreement with the provincial government of Neuquén, the chamber of commerce and the trade unions of the oil sector that implies a reduction of workers benefits, salaries and future pensions to reduce labour-related costs. Source: Argentina National Report 2017. 2016 - Can Argentina Meet the 2030 Agenda SDGs?